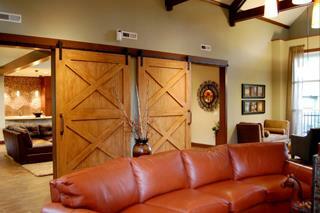 Monterey Bay Door Inc., is a full service door shop. We have been serving Monterey County and the surrounding areas since 1991. Our family owned business offers residential and commercial products. We have available a vast array of standard and custom design products for any size of project. Personalized service is always included, whether it's a single home remodel or a new apartment complex. From an upgrade of adding crown molding to a room to replacing aging doors, our craftsmen have you covered. As natives of Monterey County, we know what works on the coast and what doesn't! We proudly offer a supply of Doors, Millwork, and Hardware, including: bathroom accessory hardware, medicine cabinets, mirrors, crown molding, baseboard, wainscoting, shelving (wire and wood) for residential projects to commercial projects that include hollow metal doors and frames, storefronts and all hardware in between. We are ready to assist you in meeting your design and budget goals. 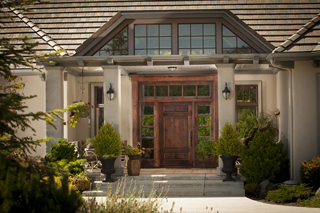 Backed by professional installation by Staley Construction Inc., you can depend on Monterey Bay Door to help you realize your vision. Call us at (831) 757-1878 for a quote. © 2019 Monterey Bay Door, Inc. All rights reserved.